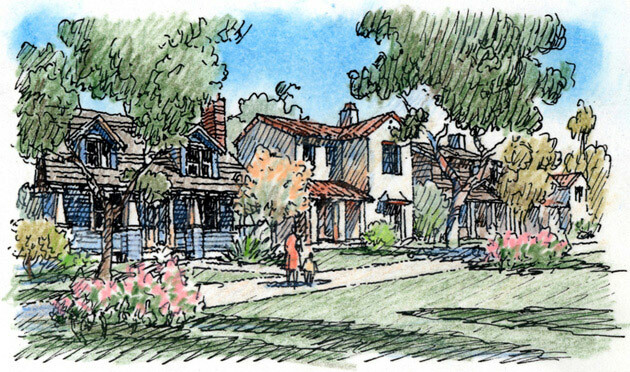 Parklands, a 67-acre traditional neighborhood development in Ventura, California, is a sustainable community of 500 homes. Designed around a pedestrian-friendly network of streets and blocks, it incorporates an existing water barranca and an intricate network of parks, greens and rose walks. 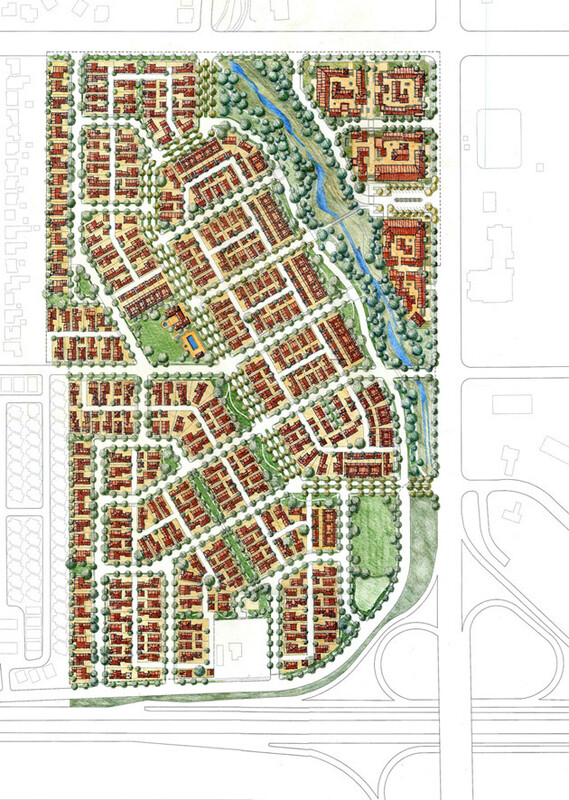 North of the barranca, a neighborhood center on a mixed-use plaza is surrounded by 150 units of podium housing arranged around courtyards. 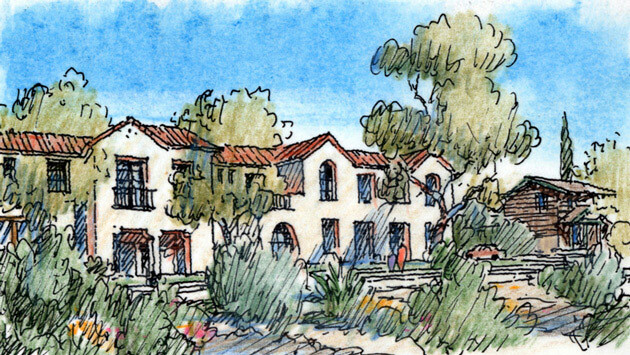 South of the barranca, 350 single-family detached homes in various styles on a range of lot sizes are served by a central park with a community center which will be the focus of the southern neighborhood.